On his trip to Bangkok, Daniel got tired of shopping and decided to try something a little different: A sightseeing bike tour! With the local guide, Daniel navigated narrow back alleys inaccessible to a bus tour. He saw beautiful parts of the city. Thai children playing in their front yards. Friendly shopkeepers in Chinatown waving ‘Sawadee-krub’ as he rode past. 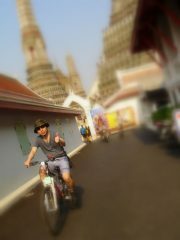 In short, Daniel saw the REAL Bangkok. 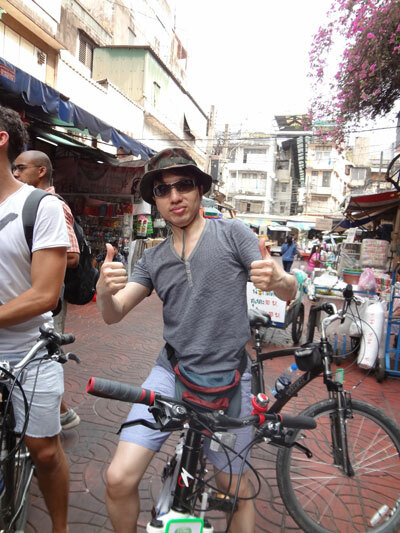 Daniel enjoyed the bike tour so much that he gave it a 5-star rating on TripAdvisor. He was inspired to create the same experience in Singapore and partnered his friend Robin. 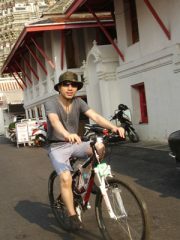 For the next few months, Daniel & Robin planned, walked, drove and (of course) rode around the city of Singapore. They meticulously planned every turn; stop and attraction on the route so that guests would have a memorable journey. 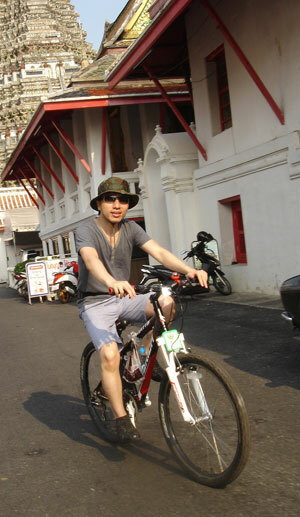 Daniel & Robin invite you on a bicycle journey in Singapore for yourself. 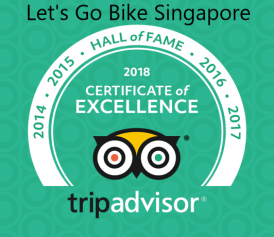 Let’s Go & Discover Singapore the RIDE way!